A luxurious small sized tablet case that features your branding design in stunning full colour. Protect your tablet with these remarkable cases. These are a small size and designed for mini tablets (we also have a larger size for regular tablets). 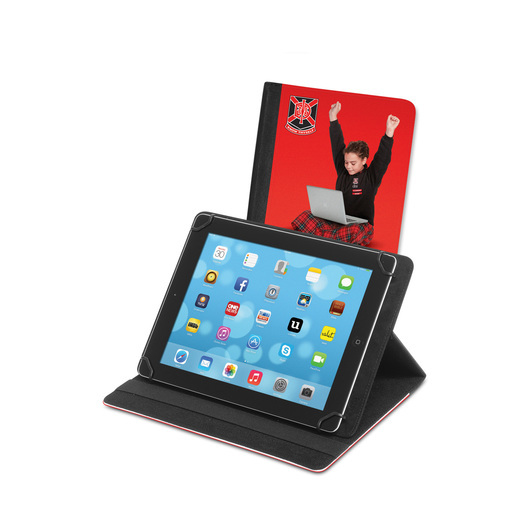 The case features a unique retractable mechanism that allows it to hold different size tablets, it also has an adjustable work stand that makes work and watching videos easy. And to top things off these cases come as standard with a large full colour print and a secure elastic closure.